24 Hour Computer Services is an Award Winning mobile and online computer repair service, offering quick and reliable computer repairs starting at just $39. We can go directly to your home or office in San Antonio or the surrounding areas and solve your computer problems right on the spot. 24 Hour Computer Services also has multiple locations in San Antonio for convenient drop-off service. 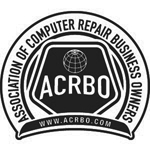 We specialize in all computer repairs - Hardware Repair, Data recovery and Destruction, Computer Maintenance and Upgrades. 24 Hour Computer Services has the lowest prices on Malware and Virus Removal in San Antonio! We offer online services and phone support with the same availability so wherever you are, we can help! For your peace of mind, 24 Hour Computer Services fully guarantee's all of our work and we're always available to serve you, 24/7!